Has anyone installed this grille on a Journey G?? Please feel free to PM me if you have any other questions. Last edited by Ionic; 06-12-2010 at 12:57 PM. is there any way to get a different mesh installed with the grill frame? if i purchase one painted from you/would the mesh come installed? are there any other mesh options you offer? Any idea where to find some? Ideally, I would really like to find a plastic mesh to match the oem lower grill. 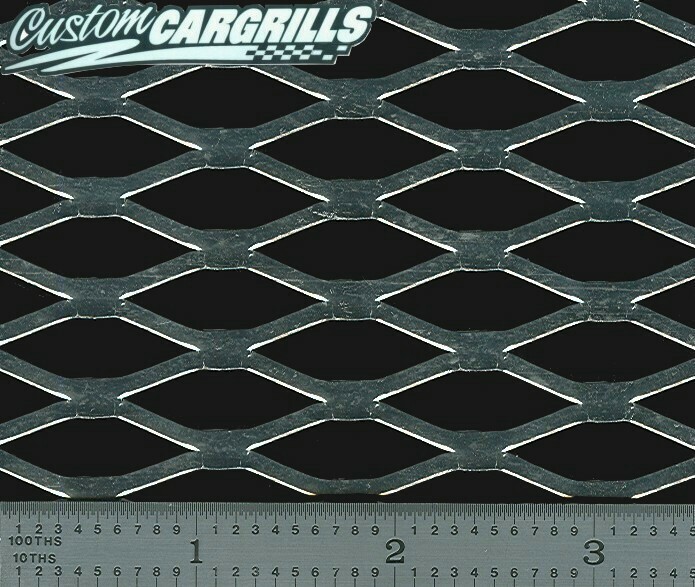 If not, would I be able to ship some mesh to you that I want to use, so you can can mold and mount to the painted grill? 12x48 is enough i assume? Last edited by bat6wc; 03-19-2009 at 12:45 AM. Yes the mesh comes installed on when a painted grill is ordered. Our mesh is plastic. This mesh will never chip, discolor, rust or get bent out of shape. I do not offer any other options as far as the mesh goes. Most people purchase more of the mesh that I use and place it over the OEM mesh, I think it looks pretty good. Do a search on the forums and you will see what people have been doing about the mesh. its a flat metal large opening diamond weave that is powdercoated flat black. I think that would match the lower grill a bit better. what do you think? Would I be able to send some of this to you to mount to the painted grill? Last edited by bat6wc; 03-19-2009 at 01:34 PM. Yes I can mount it for you, no problem. at the bottom it says it will not work with install clips. how do you mount the mesh?? Last edited by bat6wc; 03-19-2009 at 01:53 PM. Yes 12" x 48" should be more than enough. I don't see why clips can't be used to hold it in place. thats what i was thinking but why would they specifically state that clips cant be used? Please cut out the black support that is behind the grill, and use a few strips of double sided tape to secure it. Please PM if you have any more questions or issues. Marion your painted grill ships out this morning, tracking info will be sent out in a few minutes.